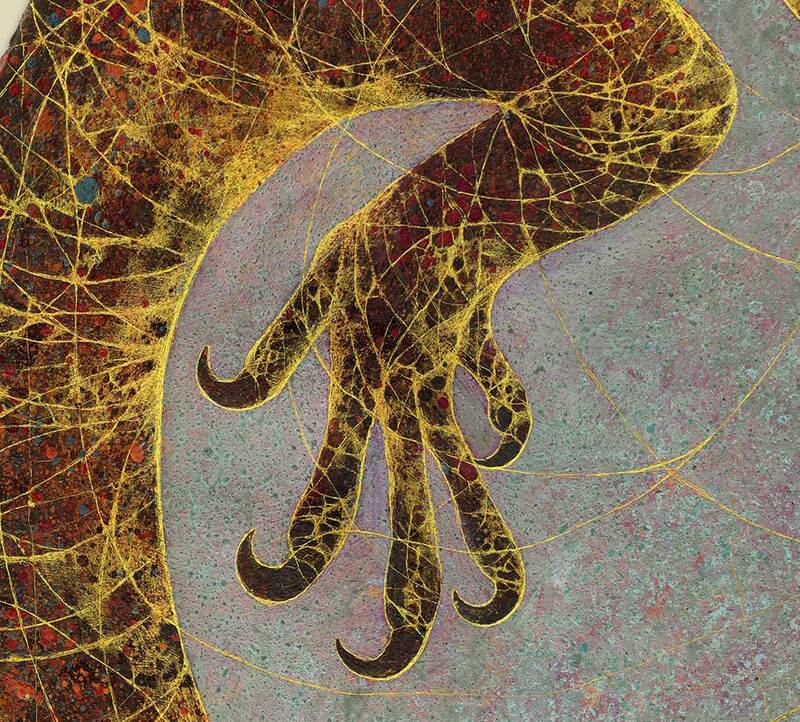 These paintings are inspired by my experiences and the way I perceive the Australian nature and wildlife. 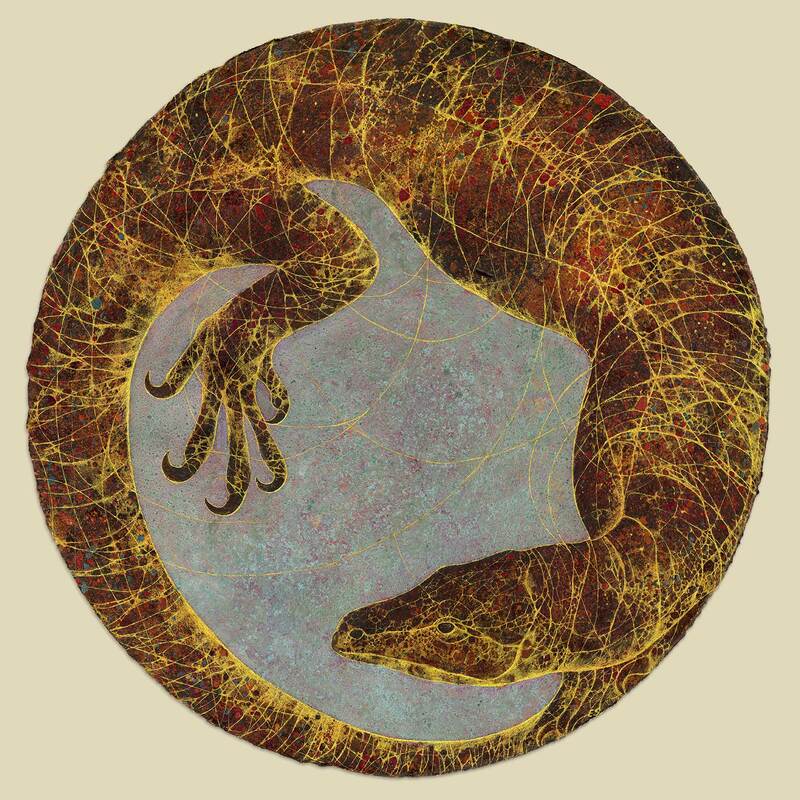 The representation of the goanna in a circular format, emphasizes the idea of perfection and at the same time a feeling of movement and positive energy. Goanna – Mixed media on 600gsm cotton rag paper. 600 mm. 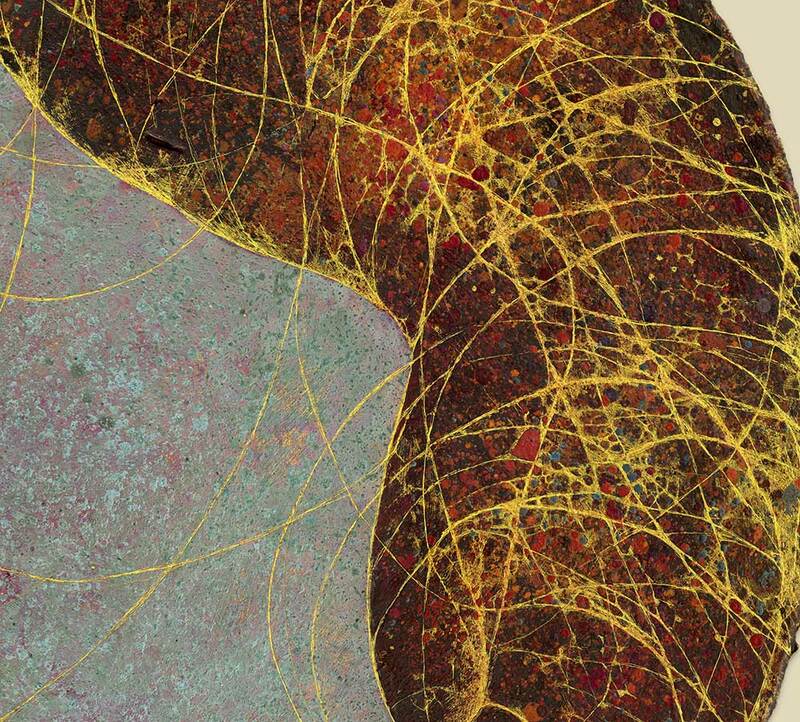 Goanna – detail – Mixed media on 600gsm cotton rag paper. 600 mm. 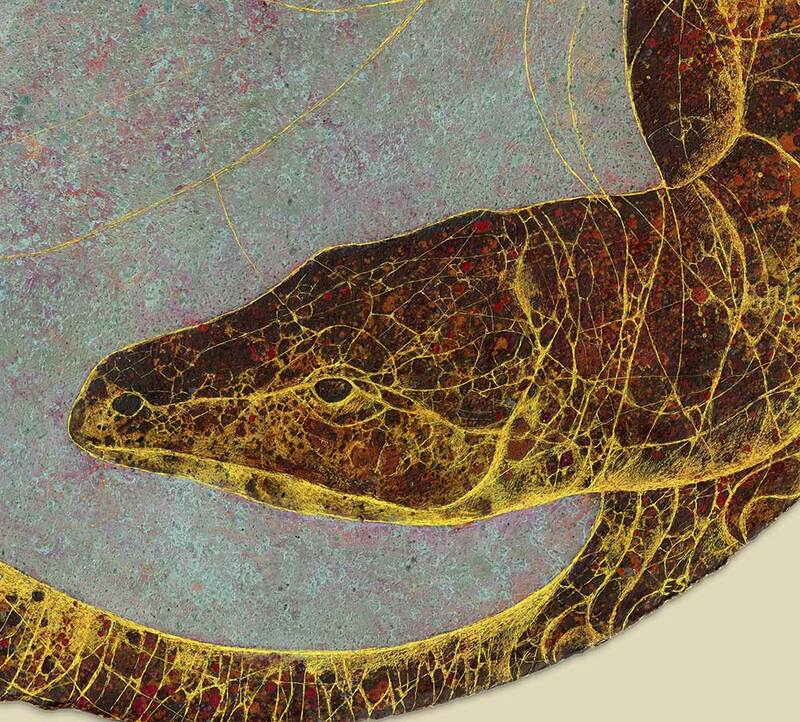 Goanna – detail- Mixed media on 600gsm cotton rag paper. 600 mm.